THIS is a product that I’ve been wanting to try for a while now but I honestly didn’t know if it would live up to the hype. According to the creators it “removes makeup, cleanses and soothes” and is for use on your face, eyes and lips. Way more than just water! It also promised “no vigorous rubbing or rinsing required”. Those are big claims in my eyes! Apparently the key is the active cleansing ingredient, the micells, which “act as a magnet to capture impurities makeup and sebum”. This has really changed my cleansing process. Up until now I’ve just been using goat’s milk soap to cleanse and remove makeup because for a long time, that was all my sensitive, eczema-prone skin could handle. Now I’ve got my skin under control, though (more on that here) I could reassess what I use. I wanted to use something gentle, that wouldn’t clog up my pores and that I wouldn’t have to roughly scrub my skin with just to get my makeup off. 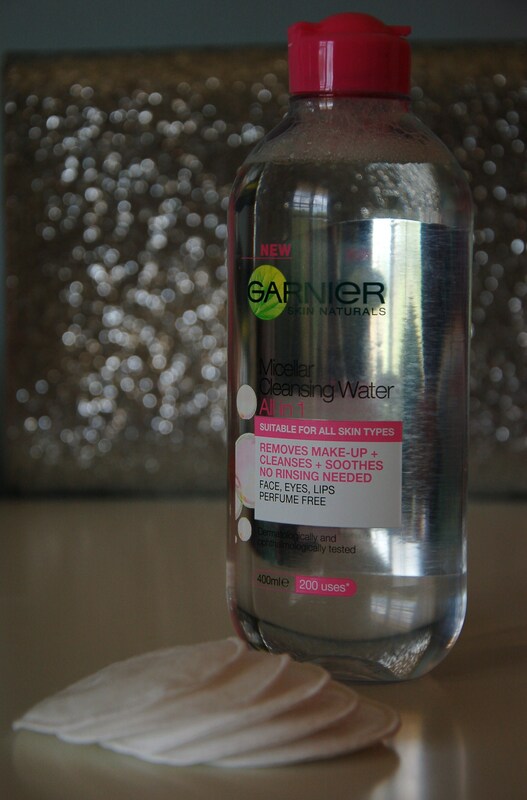 To put it simply, this cleansing water just works. 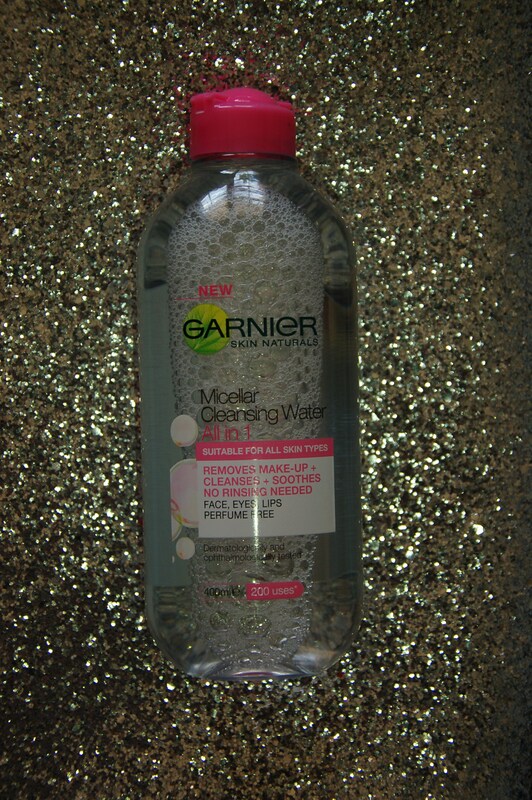 This has changed my cleansing routine. To use it you put a bit on a cotton pad and wipe your face with it. Foundation, lipstick, eyeliner and long-wear concealer have been no match for this product. It usually takes about four cotton pads to remove a full face of makeup, including all of my mascara and liquid eyeliner. The impressive part is there’s no residue left behind. My skin feels cool and refreshed after I use it and not tight and dry like it does with a lot of soaps or other cleansers. And, true to their word, I didn’t have to scrub heaps to get my makeup off. I first spotted this in a chemist and really liked the look of the packaging (this happened with another Garnier product I reviewed here) – so their marketing people are doing a good job. To sum up, this product is awesome, perfect for sensitive skin and I will definitely buy this again. What’s in your makeup removing routine? Would you try a cleansing water? Thanks so much Linda! I’m really glad you like it! !